Whether you are based in Sydney needing to jazz up the standard workday or are organising an out-of-state conference, it’s time to experience the best bits of Sydney and it’s bountiful activities by doing some Sydney team building activities. We’ve got a mix of charitable activities, fine dining experiences, role-playing and improvisation activities and filmmaking events to make the most of your break from the everyday. Give back to your local community by assembling a bike from scratch without a manual! It’s extreme IKEA, but for a great cause. Once all the bikes are built and safety tested the real surprise is revealed! The bikes you spent the past hours building are given to children from your chosen local charity! Bike build for kids is a very special activity that leaves most people in tears – so make sure to pack some tissues. Leave your ‘office’ self at home and be plunged into the midst of a very unusual murder case with a whole new personality, costume and accessories to match! Role playing activities like Murder mystery – Whodunit is fantastic dinner party activities and great to cap off a long conference day for a visiting team. Once everyone has warmed up and had a few wines by the fire, stepping into character and embracing the ‘Thank God You’re Here’ style activities become easy and fun. This activity ranges between 90 minutes to 3 hours and can include a meal if desired. 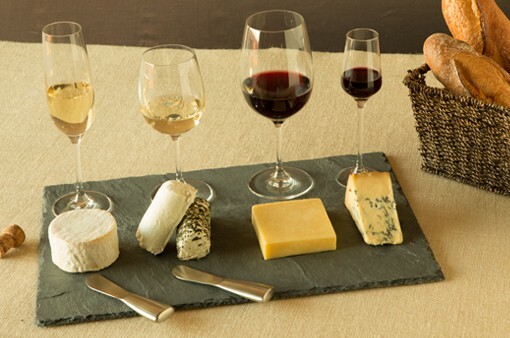 Enjoy the rich food and wine culture in Sydney with Wine and Cheese Tasting team building activity. Because what’s better than drinking wine while you should be working? Drinking wine and eating cheese, while you are should be working! Your sommelier has one of the most impressive resumes in the country, with 10 years experience in the Australian wine industry, a vast understanding of Australian and New Zealand wines, a specialised knowledge of French wines and a winning personality! In addition to a sommelier you also get a fromager (cheese specialist) to pick the perfect dairy accompaniments. Needless to say, your team will be in for a treat. Theatre sports is equal parts challenging and rewarding particularly for the shyer members of your team. Our team of professional actors and comedians kick of the theatre sports and introduce your team to the various improvisation games that are the stuff of comedy genius. There is no such thing as the word ‘no’ and no such thing as failure. Theatre sports are a great way to gain the trust of your team and are guaranteed to bring your group closer together. Borrow a little from Spielberg, a little from Coppola and a lot from Scorsese when you make your instant classic Sydney equivalent of a Hollywood film trailer. Filmmaking is without a doubt, a team activity. Your teammates will be trained in the particulars of their discipline, whether it be acting, directing, camera, sound, costume, set design or script writing by industry professionals. Once you have finished your masterpiece, are tucking into dinner, relaxing after a long day, your films will be critiqued by ‘At the Movies’ style movie critics. Prepare for valuable and hilarious feedback! Another murder mystery, you might say! But bear with me this one is different! You are apart of a unique murder mystery team who is assisting the police, the CIA and the FBI to apprehend criminals now operating in Sydney. You have to solve a combination, open a safe and help identify the two main men behind a diamond smuggling operation! The first team to correctly identify the diamond thieves will be crowned Cluedo King! Murder Mystery Cluedo can take place both indoors and outdoors, so don’t let the beautiful Sydney weather drift by without making use of it! There is more to Sydney than just it’s exquisite natural beauty and that is the people and talent within it. The great thing about the range of activities in this list is that they are all indoor or outdoor activities. Because, as any native Sydney sider will know, there is no guaranteeing whether you’ll be baking in the sun or throwing out 3 broken umbrellas in a day! If you would like to see a larger selection of Sydney team building activities then check out our full list.